Does Valla lose hatred on death? Valla has a thing called Hatred, which builds up stacks as she performs auto-attacks. 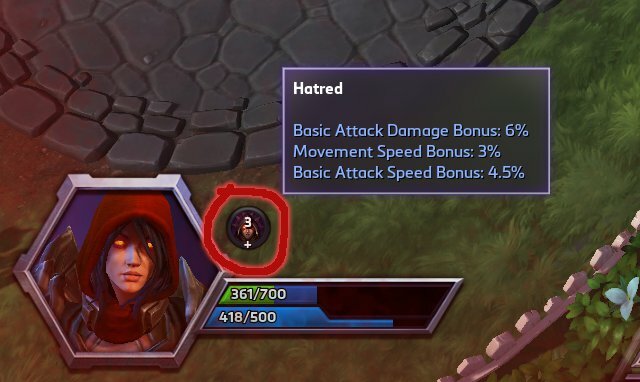 Does dying cause Valla to lose Hatred stacks? Also, how do you tell how many stacks you have? Yes, dying causes you to lose all of your hatred stacks. You can tell how many stacks you have by checking the counter that appears to the right of your character portrait (this appears after you have at least one stack). Hovering over the counter will show the current bonuses that are applied from your hatred stacks. Can I lose rank for inactivity? Does Gall break Cho's stealth?